Provide comfort for the family of Otto Sprossel with a meaningful gesture of sympathy. 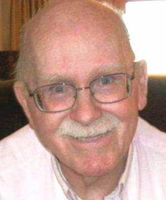 Otto W. Sprossel, 86, a longtime resident of Dover Plains, NY, passed away on Friday, February 1, 2019 at Sharon Health Care Center in Sharon, CT. Mr. Sprossel was an Air Policeman for the US Air Force retiring in 1971. He later worked at the Department of Education and Training at the Harlem Valley Psychiatric Center in Wingdale, NY. Born on December 22, 1932 in Jersey City, NJ he was the son of the late Otto and Mable (Somers) Sprossel. Mr. Sprossel received a bachelor of arts degree from Bennett College in Millbrook, NY and a master’s in administration from Long Island University in Long Island, NY. Mr. Sprossel proudly served in the US Air Force from 1951-1971. On March 1, 1958 in Banbury, England he married Pamela Hodgson who survives at home. Mr. Sprossel was a member and Past Commander of the American Legion Post #1949 in Wingdale, NY. He was also a former supervisor of the Town of Dover and served two terms at as town councilman. In addition to his loving wife, Mr. Sprossel is survived by his daughter, Lisa Sprossel and her companion, Russell Hanley, of New Milford, CT; two brothers, William Sprossel and his wife, Joyce of Pine Plains, NY and Thomas Sprossel of Florida and two sisters, Anna Philips of Amenia, NY and Shirley Adrian of Florida. He is also survived by two granddaughters, Kristen Masiero and Kellie Oxx and her husband, Matthew; a great granddaughter, Aubrey Oxx and many nieces and nephews. Besides his parents, Mr. Sprossel was predeceased by a sister, Gerda Binotto and two brothers, Robert and Carl Sprossel. To send flowers in memory of Otto Walter Sprossel, please visit our Heartfelt Sympathies Store. We encourage you to share your most beloved memories of Otto here, so that the family and other loved ones can always see it. You can upload cherished photographs, or share your favorite stories, and can even comment on those shared by others. With love, Bobby & Patty Christiansen sent flowers to the family of Otto Walter Sprossel. With love, Bobby & Patty Christiansen purchased flowers for the family of Otto Sprossel.